This article is about the chemical. For the class of compounds used as ligands, see metal phosphine complex. For the visual phenomenon, see phosphene. Not to be confused with phosphene or phosgene. Phosphine (IUPAC name: phosphane) is the compound with the chemical formula PH3. 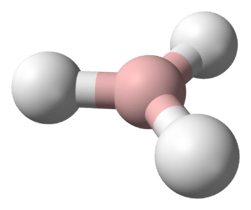 It is a colorless, flammable, toxic gas and pnictogen hydride. Pure phosphine is odorless, but technical grade samples have a highly unpleasant odor like garlic or rotting fish, due to the presence of substituted phosphine and diphosphane (P2H4). With traces of P2H4 present, PH3 is spontaneously flammable in air, burning with a luminous flame. Phosphines are also a group of organophosphorus compounds with the formula R3P (R = organic derivative). Organophosphines are important in catalysts where they complex to various metal ions; complexes derived from a chiral phosphine can catalyze reactions to give chiral, enantioenriched products. Phosphine evolution occurs around 200 °C. Alternative methods involve the hydrolysis of aluminium and calcium phosphides. Organophosphines are compounds with the formula PRnH3-n. These compounds are often classified according to the value of n: primary phosphines (n = 1), secondary phosphines (n = 2), tertiary phosphines (n = 3). All adopt pyramidal structures. Their reactivity is also similar - they can be oxidized to the phosphorus(V) level, they can be protonated and alkylated at phosphorus to give phosphonium salts, and, for primary and secondary derivatives, they can be deprotonated by strong bases to give organophosphide derivatives. Secondary phosphines are prepared analogously to the primary phosphines. They are also obtained by alkali-metal reductive cleavage of triarylphosphines followed by hydrolysis of the resulting phosphide salt. The latter route is employed to prepare diphenylphosphine (Ph2PH). Diorganophosphinic acids, R2P(O)OH, can also be reduced with diisobutylaluminium hydride. Tertiary phosphines are generally obtained by treatment of phosphorus trichloride or triphenylphosphite with organolithium reagents or Grignard reagents. Related to a PH3 is the class of organophosphorus compounds commonly called phosphines. These alkyl and aryl derivatives of phosphine are analogous to organic amines. Common examples include triphenylphosphine ((C6H5)3P) and BINAP, both used as ligands in homogeneous catalysis or triisopropylphosphine. Phosphines are easily oxidized to phosphine oxides as exemplified by the directed synthesis of a phospha-crown, the phosphorus analogue of an aza crown where it is not possible to isolate the phosphine itself. 1 2 3 4 5 6 "NIOSH Pocket Guide to Chemical Hazards #0505". National Institute for Occupational Safety and Health (NIOSH). 1 2 "Phosphine". Immediately Dangerous to Life and Health. National Institute for Occupational Safety and Health (NIOSH). ↑ Sennikov, P. G. (1994). "Weak H-Bonding by Second-Row (PH3, H2S) and Third-Row (AsH3, H2Se) Hydrides". Journal of Physical Chemistry. 98 (19): 4973–4981. doi:10.1021/j100070a006. ↑ Roels, J.; Verstraete, W. (2001). "Biological formation of volatile phosphorus compounds, a review paper". Bioresource Technology. 79 (3): 243–250. doi:10.1016/S0960-8524(01)00032-3. PMID 11499578. ↑ Edwards, P. G.; Haigh, R.; Li, D.; Newman, P. D. (2006). "Template Synthesis of 1,4,7-Triphosphacyclononanes". Journal of the American Chemical Society. 128 (11): 3818–3830. doi:10.1021/ja0578956. ↑ Burck, S.; Gudat, D.; Nieger, M.; Du Mont, W.-W. (2006). 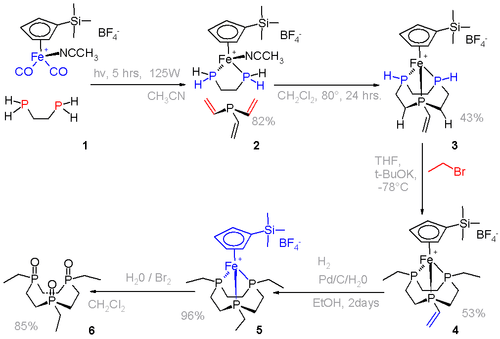 "P-Hydrogen-Substituted 1,3,2-Diazaphospholenes: Molecular Hydrides". Journal of the American Chemical Society. 128 (12): 3946–3955. doi:10.1021/ja057827j. ↑ Bettermann, G.; Krause, W.; Riess, G.; Hofmann, T. (2002). "Phosphorus Compounds, Inorganic". Ullmann's Encyclopedia of Industrial Chemistry. Ullmann's Encyclopedia of Industrial Chemistry. Weinheim: Wiley-VCH. doi:10.1002/14356007.a19_527. ISBN 3527306730. ↑ "NIOSH Emergency Response Card". CDC. Retrieved 2010-04-06. ↑ "NIOSH pocket guide". CDC. 2009-02-03. Retrieved 2010-04-06. ↑ "WHO (Data Sheets on Pesticides-No. 46): Phosphine". Inchem.org. Retrieved 2010-04-06. 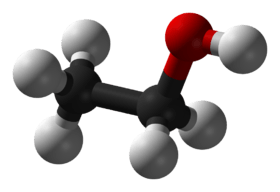 ↑ "NIOSH Alert: Preventing Phosphine Poisoning and Explosions during Fumigation". CDC. 1995-07-10. Retrieved 2010-04-06. ↑ "Two toddlers die after Jerusalem home sprayed for pests". Haaretz. 2014-01-22. Retrieved 2014-01-23. ↑ "Pesticide blamed in 8-month-old's death in Fort McMurray". CBC News. 2015-02-23. Retrieved 2015-02-23.